Showing 35 articles from January 17, 2018. LOUISBURG -- Even for January, Monday proved a bit more brisk than most remembered it being on previous Martin Luther King Jr. Days -- a federal holiday to recognize the life and legacy of the slain civil rights leader. Before taking part in a ceremonial march from the Franklin County Courthouse steps to St. Paul Presbyterian Church, organizers joked that a lively step could warm up the crowd. FRANKLINTON -- Martin Luther King Jr. once said that evil thrives in a confluence of inaction, indifference and silence. 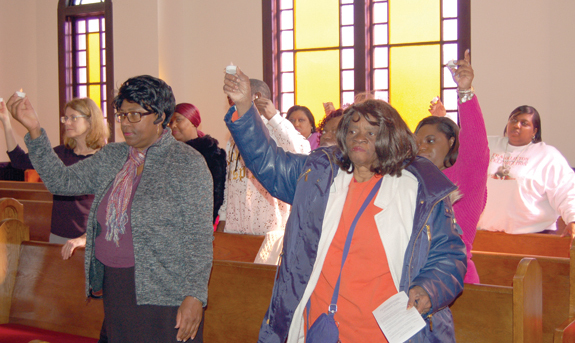 During a celebration of the life and legacy of Dr. King on Jan. 13, the Rev. Kenneth Williams said that can't continue. "... 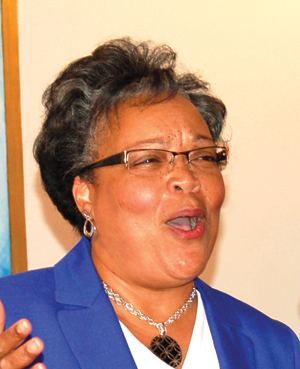 While we have reason to celebrate, we also have a responsibility to bring light in dark places," said Williams, who was the keynote speaker for the King celebration, hosted by the Franklinton MLK Committee at First Baptist Church on Jan. 13 -- two days before the anniversary of King's birth. LOUISBURG -- The county's airport board plans to host a retreat and work sessions, activities they will use to chart unprecedented growth at the airport and find the next person who'll be responsible for navigating the operation. 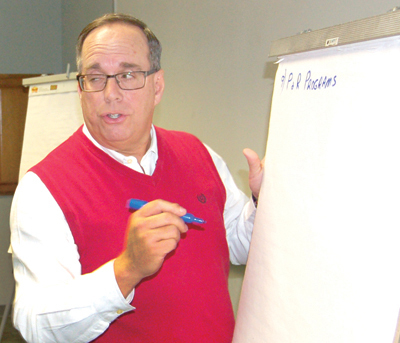 Airport Commission Chair John Allers hinted at the group's game plan for the future during a recent special-called meeting to square away lease agreement for a corporate hangar. YOUNGSVILLE -- Residents, business owners, property owners and other interested parties will have a chance next week to provide input on how downtown Youngsville is going to look. Engineers Kimley-Horn are developing a blueprint for the Main Street Improvement Project and plan to present their vision for pedestrian mobility to the public on Jan. 23. A touch of the national controversy over racial issues crept into an otherwise rather routine Louisburg Town Council meeting Monday night. Alluding to comments made by President Donald Trump, but never mentioning his name, council member Christopher Neal suggested that "we as citizens should think among ourselves as to how to make our society a better place. 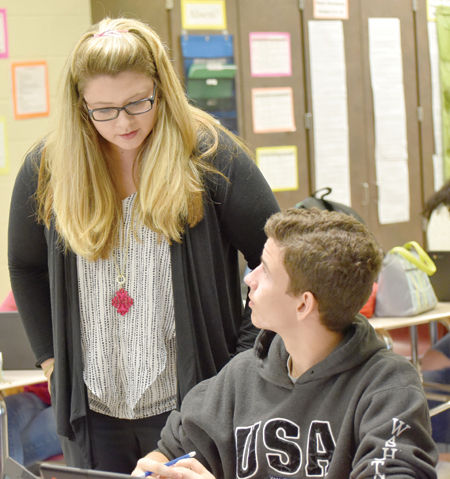 The Franklin County Board of Education last week either disproved one of my long-standing suspicions or became the exception that proves the rule! Their meeting, much of it behind closed doors in a secret session, ran past 10 p.m. -- and I've long suspected that no good government decisions are made after that magic hour when folks are just too tired to be logical. Sad to say, this is exactly what we predicted would happen many months ago -- and it cost the taxpayers of this state a great deal of money that could have gone elsewhere. As our readers know, we're downright rabid about open government and the public's right to know what its officials are doing in their name and with public money. Trust is something that is cultivated and earned. This Saturday, the Franklin Senior Democrats are hosting an event to do just that -- building bridges between law enforcement and communities of color. The political group is hosting a breakfast and program called Crossing the Divide, intent upon bringing together those in the law enforcement community and the community at large in hopes of building upon relationships and trust between the two. I'm sick and tired of reading articles written by 18-year-old college students who have no idea what life is all about. They come here for two years and act like they were born here. 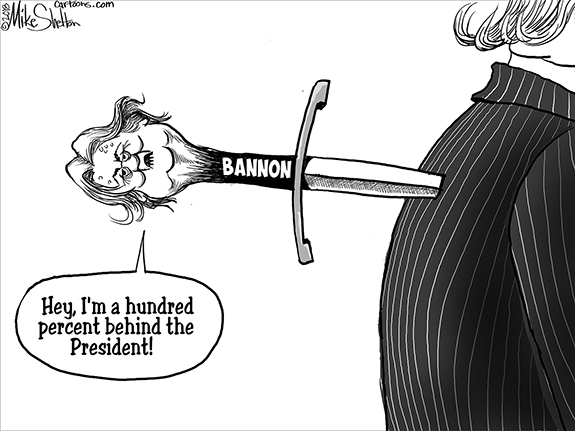 You all will be gone soon I hope. We will still be here. My name is Rachel Witkin and I am a student at Louisburg College. I am writing to you to discuss the recent issue and the removal of the Confederate statue. Personally, I agree that the Confederate statue should be taken down and replaced with an American flag. As a student at Louisburg college, I disagree with Professor Will Hinton's suggestion to relocate the confederate monument because moving the monument could possibly put the students of Louisburg college in danger. LAKE ROYALE--Clarence Frederick "Fritz" Anderson, 98, a 30-year resident of Lake Royale, died Sunday, Jan. 14, 2018 at his home. The family will receive friends Friday at 1 p.m. at Lancaster Funeral & Cremation Services, 804 N. Bickett Blvd., Louisburg, where services will follow at 2 p.m., with Pastor Joe Ferguson officiating. 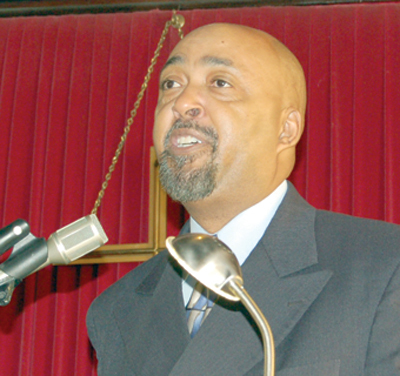 Interment will follow in Bunn Memorial Gardens. 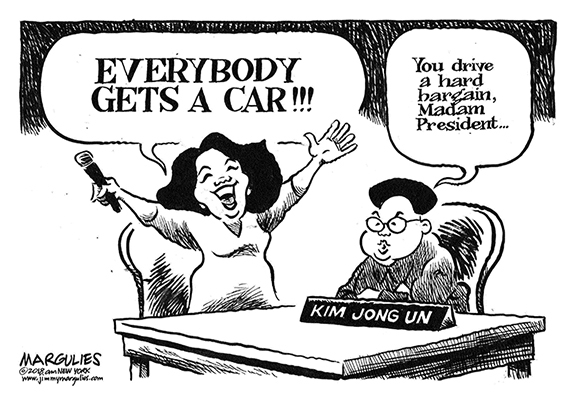 BEST IN THE BACKSTROKE. Franklinton's Ty Krec competes in a relay event for the Red Rams during last Wednesday afternoon's Big East Conference Swim Meet at the Harrison Family YMCA, which is located in Rocky Mount. 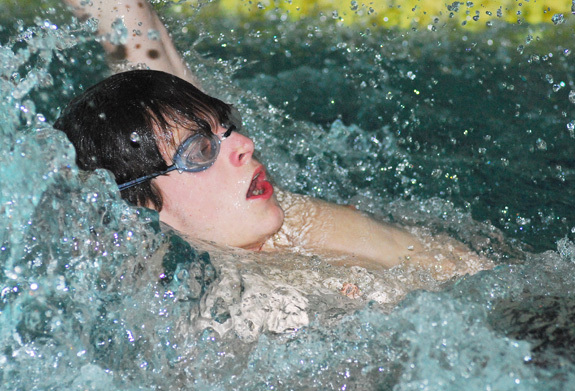 ROCKY MOUNT -- Franklinton is experiencing an uptick in pool competition level this winter as the Red Rams have moved up to take part in the Class 3-A Big East Conference in swimming. But FHS has acclimated itself well to date in the Big East under head coach Danielle Neuhahr. UNSTOPPABLE. 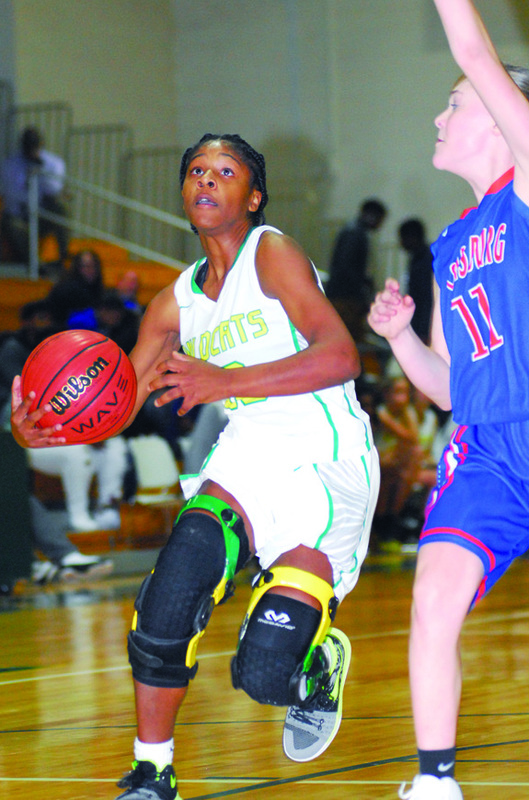 Butterball Cooke (with ball) has been exceptional this season for the Bunn HS girls basketball team. BUNN - Following a subpar, injury-riddled campaign last year, it hasn't taken long for the Bunn Ladycats to re-establish themselves this winter in the Northern Carolina Conference girls basketball standings. The Ladycats have won eight in a row to start their NCC schedule, including a 46-17 decision over rival Louisburg in league action last Wednesday at the Bunn Dome. 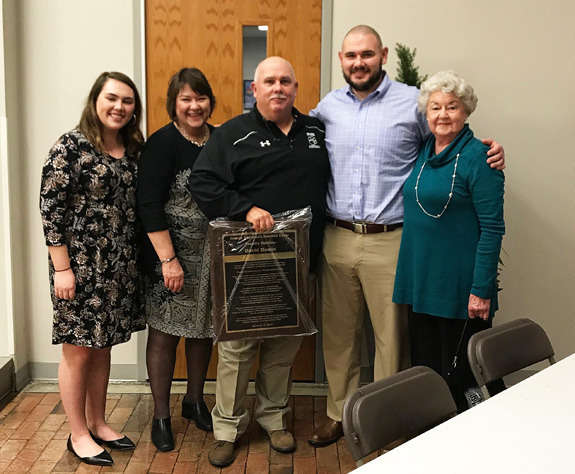 FRANKLIN COUNTY -- The overwhelming majority of coaches and players never get to cherish the experience of being inducted into a Hall of Fame -- let alone two in one day. That's exactly what happened last Friday to retired Bunn football coaching legend David Howle. BUNN -- Learning how to hold on to a lead -- and learning how to make a late comeback -- are two necessary intangibles that must be learned by an inexperienced basketball team. One of those traits was fulfilled last Wednesday night, while the other one wasn't. RED OAK -- After a long hiatus for both the Franklinton Red Rams and the Northern Nash Knights, which can be accredited to the holiday break and a few snow days, both teams hit the hardwood last Friday for the first time in 2018, in what was also the Big East Conference basketball opener for both squads. And more importantly, this was Franklinton's first-ever conference basketball game as a Big East team. 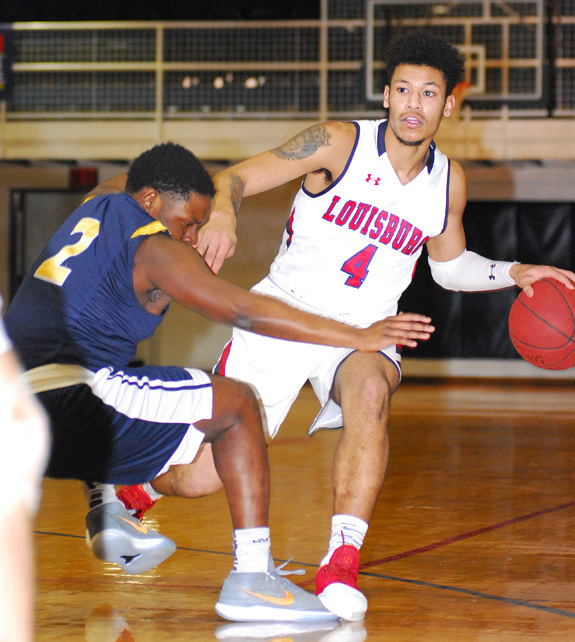 LOUISBURG -- Louisburg College's slow start to the 2017-18 men's basketball season certainly wasn't a foreshadowing of things to come. Once sporting an average 4-3 record back in November, the Hurricanes, who are the defending national tournament runner-up squad, have rattled off eight consecutive wins. 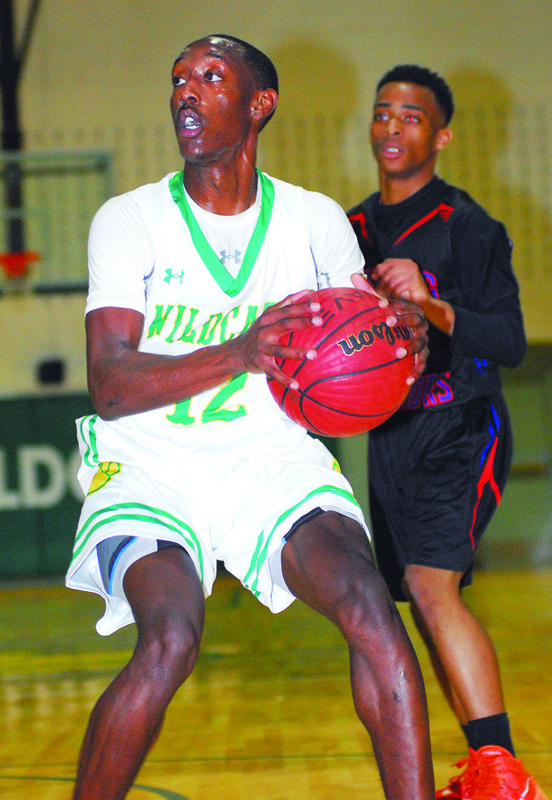 Delton Davis (with ball) shared scoring honors for Bunn during last Wednesday night's Northern Carolina Conference home boys basketball victory against rival Louisburg. Louisburg College guard Ja'Darien Wade (right) tries to find an open teammate during last Saturday's home victory over Wake Tech Community College at Taylor Center. The Tar River Center for History and Culture Foundation, a non-profit corporation that supports the Tar River Center for History and Culture at Louisburg College, has completed its seventeen-month-long project to stabilize the exterior of the old Franklin County jail in downtown Louisburg. The effort brought together Franklin County, the Town of Louisburg, private donors, and talented local craftsmen to breathe new life into the historic structure. YOUNGSVILLE -- Franklin County sheriff's deputies are looking for a suspect in an armed robbery. Authorities allege Christopher L. Minor, 35, of Raleigh, went into the Dollar General on U.S. 401 armed with a gun and demanded money the evening of Jan. 11. Minor then left the scene in a vehicle, heading southeast where they said he got into a wreck at the intersection of Frazier and Darius Pearce roads. FRANKLINTON -- Sheriff's deputies are looking for suspects in a stabbing. A man who lives on Cambridge Drive north of Franklinton reported that he went outside at about 11:30 p.m. on Jan. 13 to get firewood when he was approached by someone who stabbed him in the arms. The Franklin County Training School/Riverside High School Alumni Association recently presented a $200 check to the Franklin County Department of Social Services to help spread some holiday cheer to a needy family in the county. 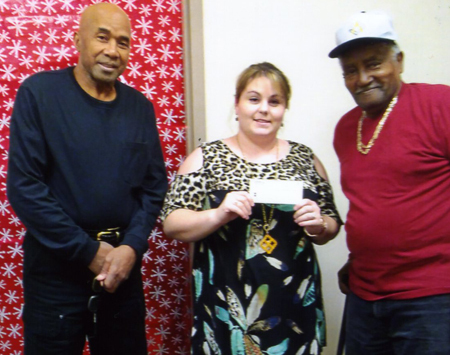 Morgan Gilliam from Social Services (above, center) accepted the check from James Williamson, Alumni Association vice president, (left) and Frank Manns, Alumni Association treasurer. 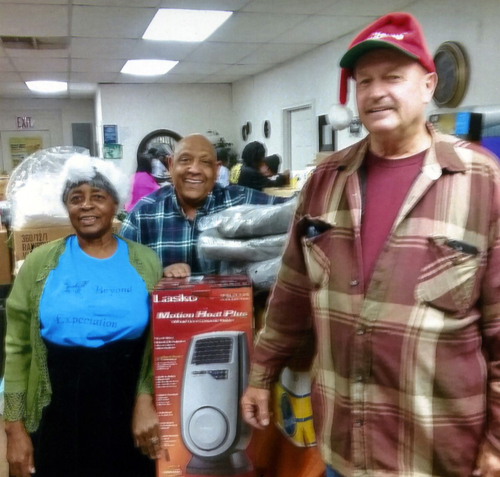 FRANKLINTON -- A Northeast charitable group made a return visit to Franklin County just before Christmas. And, this time, they brought even more toys, clothes, non-perishable food items and all kinds of things that Martha Hunter and her charitable group could give to those in need. BUNN -- Commissioners have scheduled a public hearing next month to gauge parks and recreation interests. The town is proposing to build a town park and is in the process of applying for a grant to do the project. Part of that process, town officials said, is to solicit input from residents and those in surrounding communities. BUNN -- Franklin County sheriff's deputies arrested one person and are looking for another in a home invasion robbery. According to authorities, two suspects entered a home in the 200 block of N.C. 98 East on Dec. 29, threw a woman on a bed, went into her grandson's room and stole a pair of retro Jordan Nike shoes. THE HUNT. 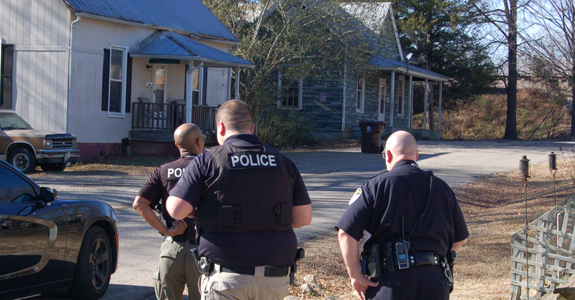 Franklinton officers were out recently looking for suspects they've identified in a drug investigation. FRANKLINTON -- Police began making arrests recently, the result of a more than two-month long investigation into drug activity in town. Pvt. 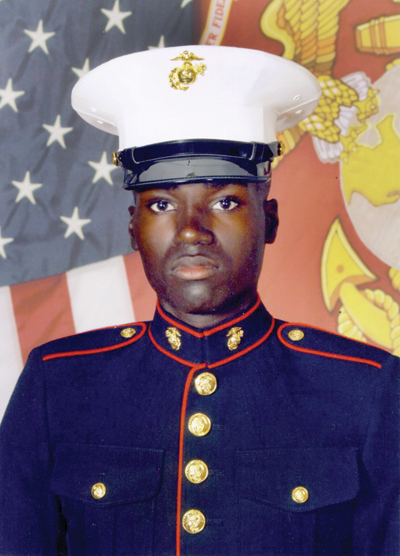 William Strickland, 19, of Louisburg graduated from United States Marine Corps boot camp at Marine Corps Recruit Depot, Parris Island, S.C. on Dec. 15, 2017. He successfully completed 13 weeks of intensive basic training at MCRD, Parris Island, S.C., as one of 98 recruits in Training Platoon 1090. Following 10 days home on leave, he reported to Camp Geiger in Jacksonville, N.C. for 29 days of Military Combat Training, then Military Occupational Specialty School.